Regardless of season or trend, a ‘wow’ outfit must contain four basic components: color, texture, pattern, and shine. Color is easy; every article of clothing has a color. Every day, you are in charge of deciding which color you will wear, which subliminally sets the tone for your day. To give an outfit depth, mix in a texture—ruffle, fringe, a large knit, or distressed denim just to name a few. 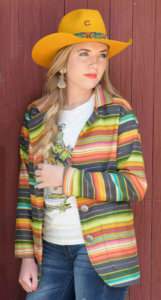 Pattern is the easiest to incorporate in accessories; you can be bold in little ways with animal prints, a tight geometrical print, or in a beaded hat band. Shine refers to the finishing touch—the jewelry, the metal-buckle details on purses or boots, or the glisten of a new concho belt. This year’s components are clear: gold, fringe, snakeskin, and sequins. This year gold and mango yellow-orange hues glow on the runways of Oscar de la Renta, Marc Jacobs, and many more. Do not try to play it safe; wear the color boldly! The more fringe, the better. Fringe insinuates action. You are a doer. Lead with this trend, and let others try to keep up. 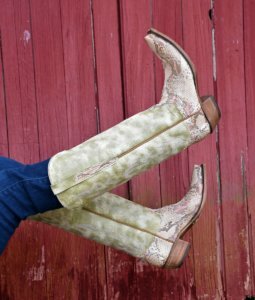 Boots, bags, blouses, and pants are all made to mimic exotic snake print in most major fashion shows this year. The pattern is the most sought after in a variety of blacks, greys, and brown shades. This traditional color way is a nod to the popular trend of neutral colors in fashion across the board. 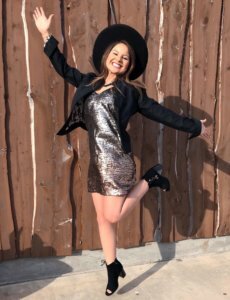 Shiny sequins were seen on runways world-wide for 2019. Why save sparkle and shine for special occasions when you can wear them on a tailored blazer or swimwear? This year note the popularity in additional trends including camisole tanks, puffy sleeves, feathers, tie-die and cargo pants. 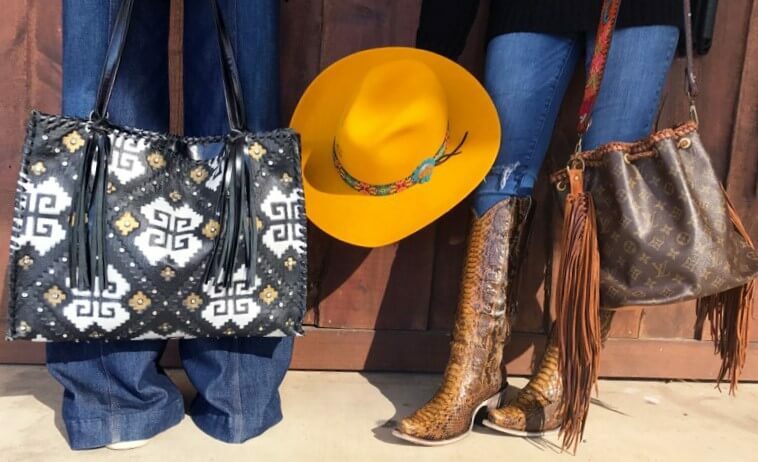 Stay tuned for Sanctuary’s new line hitting South Texas Tack this spring to incorporate these styles and more to your diverse wardrobe.